On first sight, it looked like a film with a cliché love story – a wife recalling special moments with her loving husband led by a voiceover. ‘She must be sick’, I thought to myself. And fair enough, she was. If you were to watch it again, I’m sure all the coughing at the start is sufficient evidence for you to guess her condition. So her illness wasn’t surprising. But her perspective was. The seven-minute short film, Second Chance, surprised me with a twist in the middle, a twist that was unexpectedly relatable. The wife had nothing but good memories of her husband’s love for her, painting a picture of a most loving husband ever possible. Yet, my impression of him changes drastically when the events playback, and it is revealed that he is nothing like what she recalls of him. The husband does things to suit his own needs, rather than out of love for his wife. Simply put, he takes her for granted, treating his wife well only when convenient. Yet, that’s not surprising. After all, aren’t we all guilty of treating our loved ones the same way? But if anything, this film reaffirmed the importance of looking at things from a different perspective. Choosing to see only the positive in her memories, the wife overlooked all her husband’s irritation towards her and instead changed her perspective of his behaviour – believing he did things out of love for her. And having that perspective, instead of seeing things as they were, was the driving force in maintaining her inner peace even when she was battling her illness. The smile that she wore while recalling her past was a sweet reminder of her love and nothing can take that away. Even though her memories were not accurate to the events that actually happened, if we were to adopt her perspective on things, wouldn’t our memories be ever more precious? 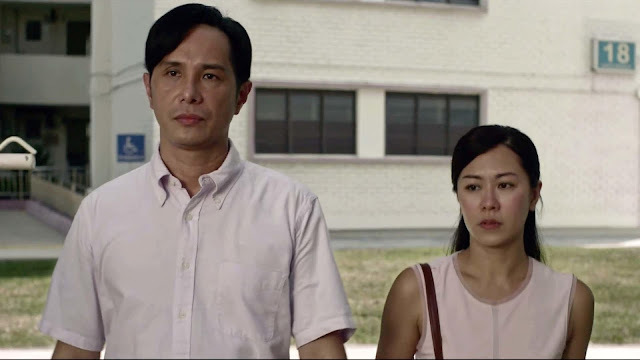 Second Chance is a film that most of us need as a timely reminder not to take our loved ones for granted. And as important that message is, the greater takeaway for me is that, having a different perspective is an important merit we can all afford to practice. With a wring to the heart, Second Chance has a bittersweet ending with a heartfelt message. Catch this short film here.